If you have a dog, you’ve probably realized by now that King County is full of fun places where dogs and their human companions can go and romp around in the outdoors. Here at King County Parks, we love dogs (and their people). In fact, our very own Marymoor Park, which features a 40-acre off-leash dog area, has been deemed the “Disneyland for Dogs”! 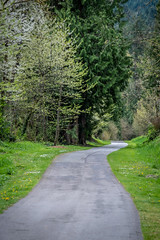 King County Parks’ current rules require that dogs be on leash at all times in our parks and on our trails, with the exception of within the off-leash dog area at Marymoor Park. 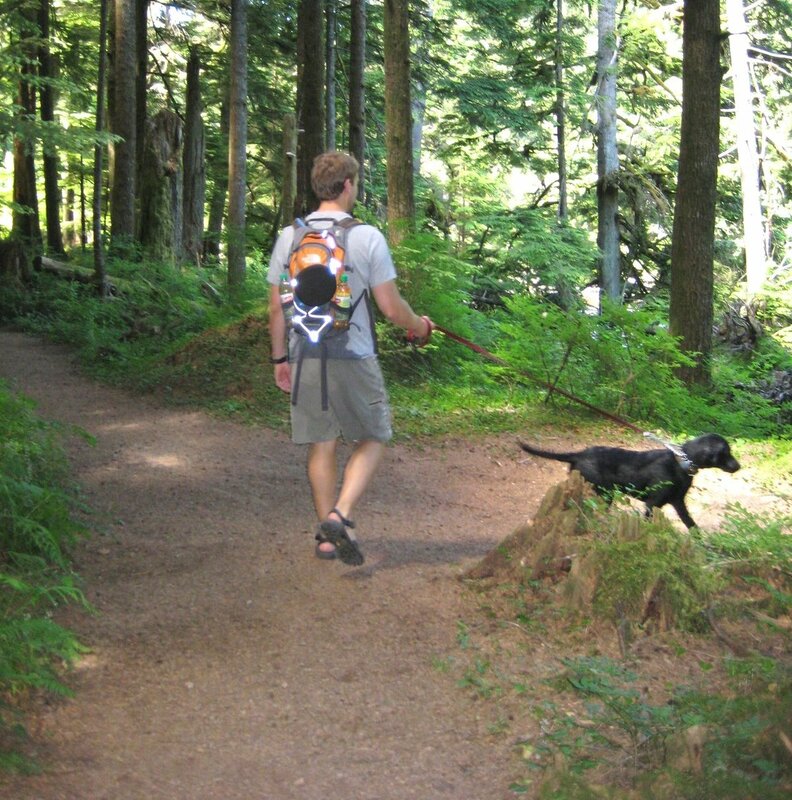 Recognizing that most of our parks offer a different, more backcountry experience than parks in Seattle or other cities in our region, King County Parks has begun a dialogue with park visitors about rules surrounding dogs. Specifically, we want to hear from park visitors of Island Center Forest and Taylor Mountain Forest. Those parks could potentially serve as pilot sites for allowing off-leash dog walking on roads and trails there, though that’s not something that would be expanded to all of our 200 parks and 175 miles of regional trails. We know that this is a complex issue, and ensuring the safety of all of our visitors is always our top priority. We here at KC Parks are always striving to balance the many ways people want to enjoy our parks while protecting habitat and wildlife too. And that’s is where these initial conversations come in: We’re doing some informal information gathering and also researching what folks in other parks systems are doing. We held a meeting with the Friends of Island Center Forest last week, and we’ll hold another meeting for Taylor Mountain Forest park visitors. This preliminary information will help us better understand the issues at these sites and whether or not it merits further action. And all of this is separate and prior to any formal public process that would be necessary if we were to change existing park rules and would include public meetings and comment periods. Tell us what you think about dog walking at Island Center Forest and Taylor Mountain Forest on parksfeedback.com. We are double dog owners (2 dogs) and love trail running / walking. We run with our dogs on the road but on a lease. When we run on trails, some single track, it is just to dangous to run with your dog on a lease, so we do out of our way to go as far up in the mountains or local trails that allow off lease dogs. Running / walking with your dog on a narrow single track is very dangous as you look for roots / rocks and such and up hill / downhill and mud can all lead to injury if you are holding a dog that is trying to navigate as well. If there was more off lease area’s to take my dogs I would go there as well. This is a great idea. I have 3 dogs and that makes it even more difficult to try and hike safely. I moved from Salt Lake where they allowed dogs off leash in one canyon only (out of about 7) on odd days only. This worked great and allowed an outlet for people that wanted to hike all day with their dogs. At the same time, I am sensitive to people that do not want strange dogs coming up to them or their kids. My Rottweiler is very curious and being so big can scare people. So I feel there should be places people can go where they know dogs won’t bother them and places where people know dogs will and are okay with it. I hope they keep places for both. There are always comments about what can go wrong when dogs are off leash. I feel that people should not bring their dog off leash if they know it will be aggressive. Other than that, the rest of us are aware that not all dogs will get along, but usually they growl, wrestle a bit and are over it. We are prepared for that to happen or see it happen every once in a while. It’s not a big deal and if we choose to take our dogs off leash, we are aware of the risks.